The complete site map for Model-A.org. The Home page for Model-A.org. The Problem Solving area provides a wealth of information that will help beginners or master mechanics isolate and solve carburetor related problems. Guidance is provided to investigate symptoms and point to likely causes. Data is available on each components design, its variations, and its common defects. To make repair and restoration tasks easier, information on special tools is provided. Cleaning minor dirt, rust particles or sludge out of Carburetor. 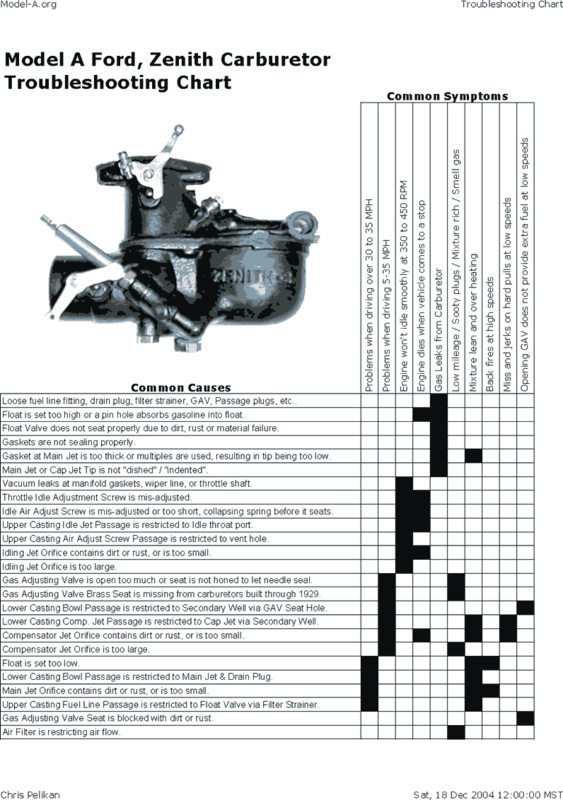 The Procedures area documents how to perform many of the tasks required to repair or restore the carburetor. The Restoration Services For Sale area provides alternatives to obtain good carburetors for people that do not have the time, skill, or inclination to work on their own carburetors. 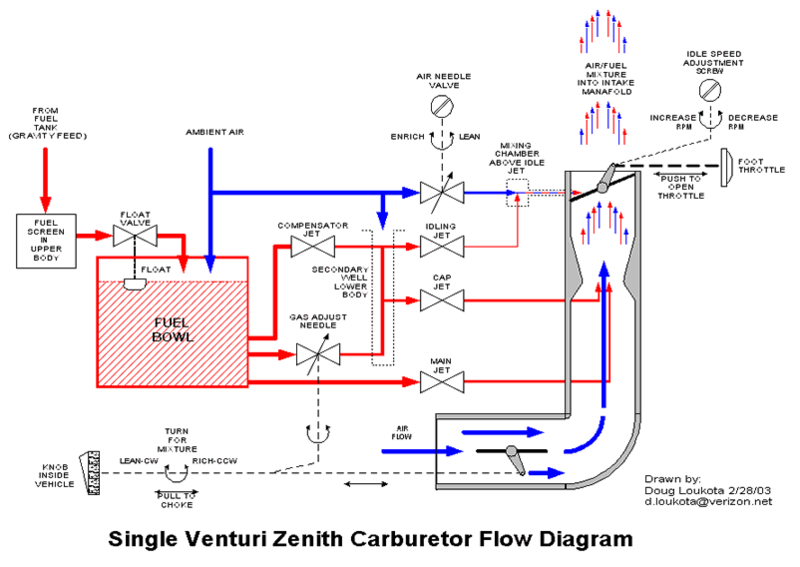 The More Information area is available for those that want to learn about carburetor theory, who manufactured them, and how the design evolved. Guidance is provided on what to look for at swap meets, when you are looking for a Zenith, Model A carburetor to restore or to use as a trade-in.